She’s a reprehensible child who meets a bad end in Charlie and the Chocolate Factory. Could this ever be the name of a real child? 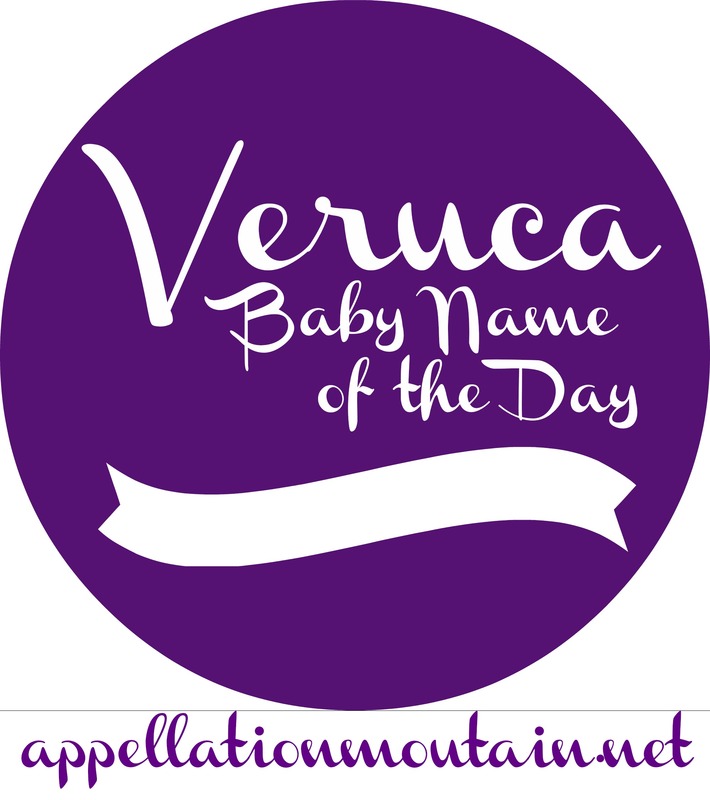 Our Baby Name of the Day is Veruca. In Charlie and the Chocolate Factory, Veruca Salt is the very spoiled daughter of wealthy parents. Both of the movie versions make her British, and in the Tim Burton version, her interview is filmed at a huge stately home outside of London called Hatfield House, which you can tour. It’s fun to watch Veruca’s tantrums, but you wouldn’t want to raise your child to become so difficult and demanding. But you might admire that vibrant V name. Victoria, Veronica, Vivica, Valentina … there are some great names starting with the letter V. It’s not a stretch to imagine Veruca fitting right in. The trouble is that Roald Dahl didn’t borrow the name from earlier uses, nor did he invent the name from thin air. Veruca comes from verruca – the Latin word for wart. More broadly, verruca can refer to a growth, or even just a flaw or failing. It’s obscure in the US, but still very much used in British English. That’s not just a horrible meaning – that would be a serious challenge if your California-born daughter decided to study abroad in London. Has any one ever been brave enough to borrow Veruca? Looking at US Census records, it appears that there have been a very few, but they all predate the 1964 publication of Charlie and the Chocolate Factory. They could be mis-recorded. And there have never been five or more children given the name in any single year. So Veruca is just about unknown as an actual child’s name. Let’s start with a relatively obscure reference. In season four of Buffy the Vampire Slayer, the kids have graduated from high school and headed off to a (fictional) local campus of the University of California. Shortly after their arrival, musician-werewolf Oz falls for the lead singer of another band. She also happens to be a musician-werewolf, but of the rather badly behaved variety. So there’s no redemption for the name here. Then there’s indie band Veruca Salt, who scored their biggest hit with “Seether” in the mid-1990s. They add some edge to the name, but they’re clearly named after Dahl’s demanding schoolgirl, so I’m not sure that makes a big difference, either. The phrase “Vercua Salt” is sometimes used as a synonym for “spoiled brat.” Since the movie adaptations of the book came out in 1971 and 2005, and are frequently shown, it is tough to claim that this reference is fading. All of this makes me think that Veruca might be best left alone, and yet I can’t escape her quirky-cool sound. I’d put her on the same list as Djuna or Luscinia – seriously daring names that might fit in better than we expect. Names4Real mentioned a few sightings of Veruca, as well as a Veruka Nine – I’d love to meet those parents! Maybe all that’s missing is a fictional character or two called Veruca, characters who have lots of good traits. And yet, with the British use of the term to refer to warts, I have a hard time imagining that happening anytime soon. What do you think of Veruca? Is she wearable, or would it be unfair to saddle a child with a name with such a negative meaning? My daughter’s name is Veruca. It’s Slavic and means vivacious and strong willed, which is totally fitting for her! The Latin word for wart is spelled Verruca (with 2 R’s), and isn’t a name, and since we’re not in the UK and haven’t ever heard of the Latin use we weren’t deterred by that. I love it, she loves it, and it’s very unique! We also use the nicknames Ruca or Ru. My daughter is named Varuka (I changed the spelling). I was obsessed with the character growing up. Although she is only 3 months, I have spent a great time explaining to people where I found this name and why I chose it. LOVE! You totally made my day! And I do think changing the spelling sidesteps the most problematic issues with the name. Yeah, not for me. I can’t shake the bratty character or the wart issue. It does have a lovely sound; it reminds me a bit of Fairuza, which has a lovely meaning– turquoise. This has been a great week. Happy birthday and have a lovely weekend! Veruka Nine is on the first page of my name journal. (I keep a journal of all the fabulous (at least to me) names I’ve found/heard about over the years). I found another Veruka recently and look for her in upcoming Names4Real post – Veruka Avery. The name does remind me of my childhood in the UK – specifically that we had to wear “veruca socks” in swimming class at school, so that you didn’t spread the wart virus. These plastic socks were hard to get on and off. Fast forward to the US today and my daughter has a nasty wart on her foot that we left alone too long. So now she’s had several visits to the dermatologist and he has to freeze it off her foot and she cries and it costs us hundreds of dollars. I hate warts right now! I was looking at the paperwork this week and it does have the word “veruca” listed right there under diagnosis. So it is still currently used. Not that the Dr has used the word with my daughter, so I don’t think she’s heard it. We just call it her wart. But all the same, it is the more official medical term. Roald Dahl’s story is such a classic too and the negative character is another bad association. Sound alone it is nice with the V and I do like “ends in A” names for girls. 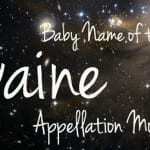 Definitely better in the middle name spot if you adore the name despite the negative associations. I’m with you, it’s too bad the meaning of this name is so unpleasant. On sound and looks, it’s a great name. You’ve profiled great names for your birthday week! 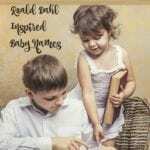 Abby – I am so glad you wrote up Veruca during your birthday week! You have mentioned its appeal to you in the past so it’s only right to feature it. As for using it – nah.